You know when an idea is a good 'un when your opposition are looking at each other and wondering why they didn't think of it before. The Dacia formula is really rather simple. It takes tried and tested Renault engineering and recycles it into new cars hailing from Romania. Therefore there's very little research and development expense, low labour costs, minimal tooling outlay and hey presto, you have a line of cheap and reliable cars that are just about pitch perfect for these austere times. Hardly rocket science is it? Renault acquired the company in 1999 but it's been only in the last decade that cars have once again been imported to the UK. We've had the Duster budget 4x4 and this was followed by the Sandero supermini, at launch the cheapest car on sale in the UK. 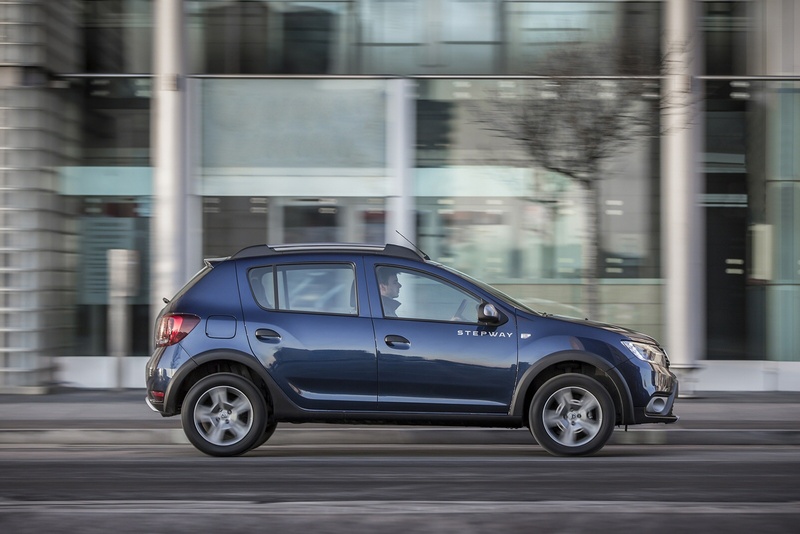 The car we look at here, the Sandero Stepway, is a spin-off of that model and it's one that has a lot to be said for it, especially in this improved form. In order to understand the appeal of the Sandero Stepway, know this. The basic Sandero supermini upon which it's based has been designed to sell into many third world markets and as such is billed as having excellent ground clearance and "robust underbody protection for impressive performance on unpaved tracks". If that's not a great basis for building a jacked-up version with even greater abilities, I don't know what is. Do remember that this isn't a four-wheel drive car though, so there are limits as to what it can negotiate. 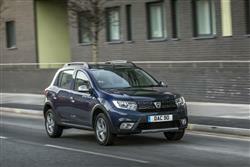 For tougher stuff, you'll probably need to buy Dacia's Duster compact SUV. The entry-level normally aspirated SCe75 petrol engine will probably be more than enough for most people and it's a sweet little motor, the three cylinders making a characterful sound and driving the front wheels via a five-speed manual gearbox. There's also a little turbo petrol unit, the TCe 90. Alternatively, there's a 1.5-litre Blue dCi 95 diesel that isn't the most refined unit we've come across but nevertheless makes all the right economy and emissions figures. The extra wheel travel seems to give the Stepway a marginally better ride quality than the standard Sandero and the 40mm raise in height hasn't made body control noticeably worse. 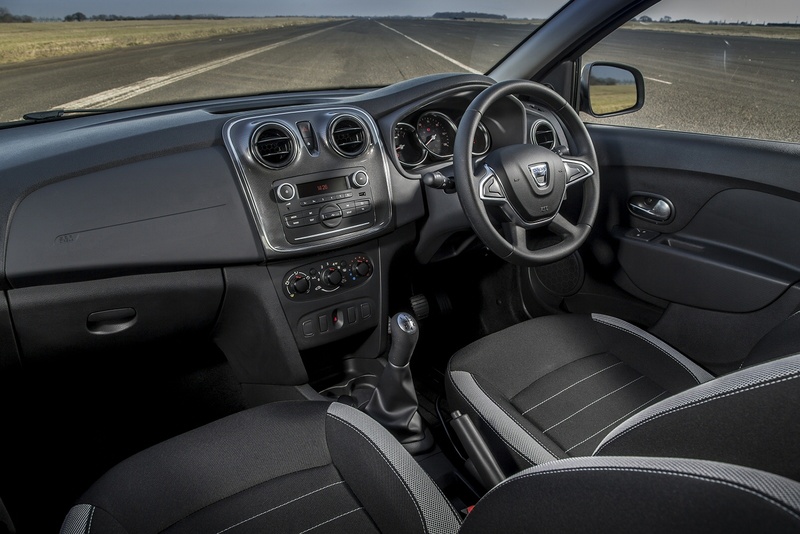 When Dacia developed the Sandero, it set out to bring a completely stripped out and basic car to market which is why it was able to sell you one for less than six grand. The Stepway is a different animal and will appeal to a different buyer. With no thrift store Access specification and base SCe 75 1.0-litre engine available, the base price is pushed quite a bit higher, in this case to around £9,000, but that's still remarkable value for money. Mind you, what do you compare it with? Probably one of the cheaper small Crossovers, maybe a SsangYong Tivoli perhaps, but one of those will cost you thousands more. It all means that many will find this model's value proposition too strong to ignore. The entry-level 'Essential' specification is equipped with air conditioning, electric front windows, front fog lights, and roof bars, Bluetooth, metallic paint, a DAB radio/CD system, driver and front passenger airbags, front side airbags and stability control. Go for the range-topping 'Comfort' trim and you'll find all that plus a 'MediaNav' Evolution 7-inch touchscreen multimedia system including satellite navigation and rear parking sensors. Plus cruise control with a speed limiter, front fog lights, heated and electrically-adjustable door mirrors, a height-adjustable driver's seat and steering wheel, leather gearknob and a trip computer. The price for all of that? Around £11,000, or around £12,500 if paired with the diesel engine. That wouldn't even squeak you into the most basic Volkswagen Polo you can buy, equipped with a flaccid 60PS petrol engine. I know what I'd rather have. Such is the buzz that's being created around Dacia cars that the brand is getting some serious recognition from real car enthusiasts. I know a guy with a stable of Ferraris who uses a Duster as the car he punts into town. The Stepway probably isn't going to be quite as depreciation resistant as the most basic Sandero models but it'll still do well and the low asking price means that the edge will be taken off any depreciation. The SCe75 petrol engine is respectably quick but it'll still return reasonable fuel economy. Dacia quotes a figure of between 43.5 and 45.6mpg on the combined WLTP cycle and emissions of 124g/km. 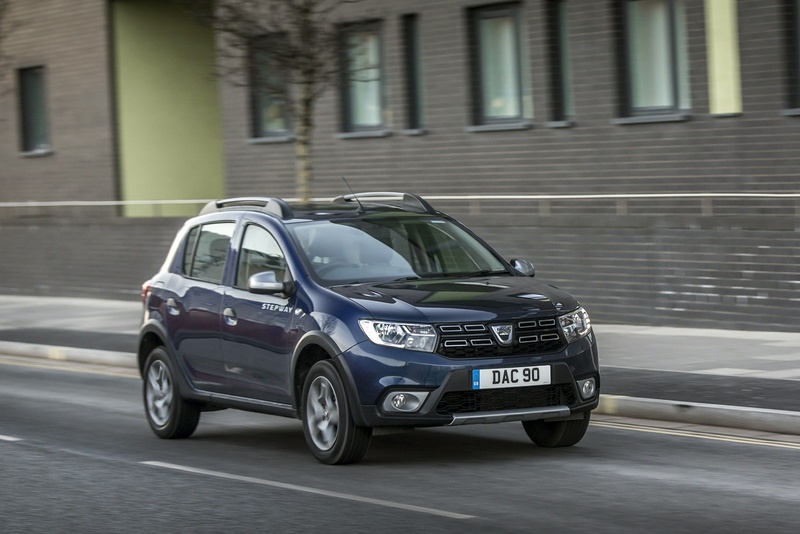 For the Tce 90 petrol, Dacia quotes a figure of between 42.2 and 45.6mpg on the combined WLTP cycle and emissions of 127g/km.Go for the Blue dCi 95 diesel and you're looking at 58.8-62.7mpg and 103g/km of CO2. All new Sanderos come with a 3 year/60,000 mile warranty (whichever is reached sooner). Rather than forcing buyers to pay a premium for a longer warranty they might not want, there's the option to extend their warranty should they wish. If you�re looking for a new Dacia Sandero Stepway 0.9 TCe Ambiance 5dr Petrol Hatchback for sale, you�ve come to the right place. 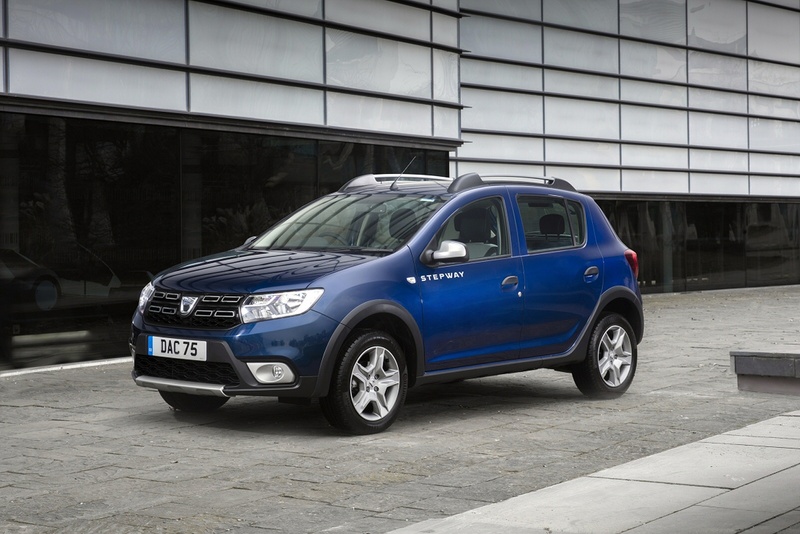 At Bristol Street Motors we don�t just have the best Dacia Sandero Stepway 0.9 TCe Ambiance 5dr Petrol Hatchback deals, we also offer friendly advice and help with all your enquiries to ensure your buying experience is a happy experience.